Looking for new ways to enjoy music? 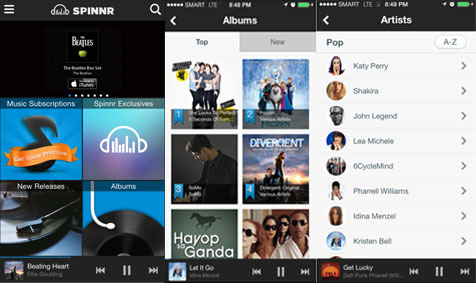 Spinnr gives you reasons to try music streaming. The Philippines is arguably one of the most musically-inclined countries in the world and it’s no wonder most of the trends in music always end up in our shores. One of these trends is online music streaming-and it is expected to change the way we Filipinos consume and enjoy music. 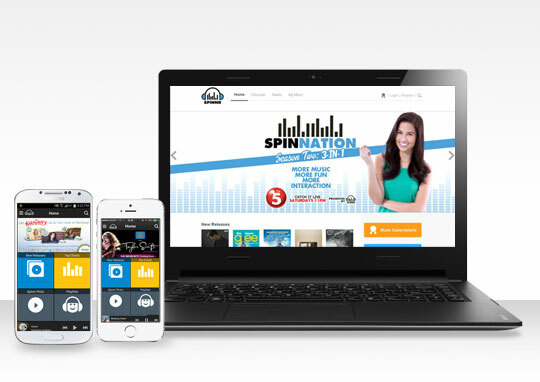 This wave of digital music revolution in the country is being boosted by Spinnr-the first Filipino music-streaming service powered by Smart Communications. You can access it on your laptop or PC via web and through its mobile app which can be downloaded for free from Google Play and the Apple App Store. 1. Unlimited music streaming at an unbelievably low price. 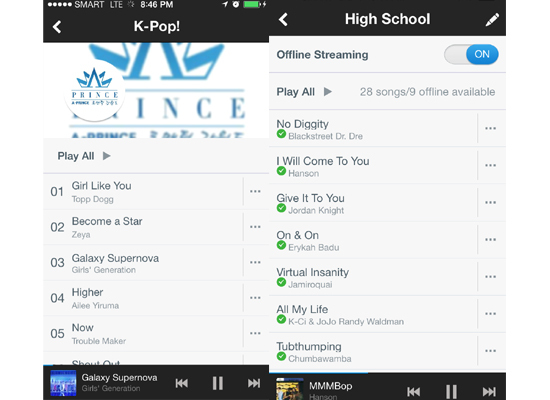 You can enjoy unlimited music streaming for one whole day for just P2.50. With your Spinnr account linked to your Smart, Talk 'N Text or Sun Cellular account, you can pay with prepaid load or have your subscription charged to your postpaid bill. No need for a credit card! 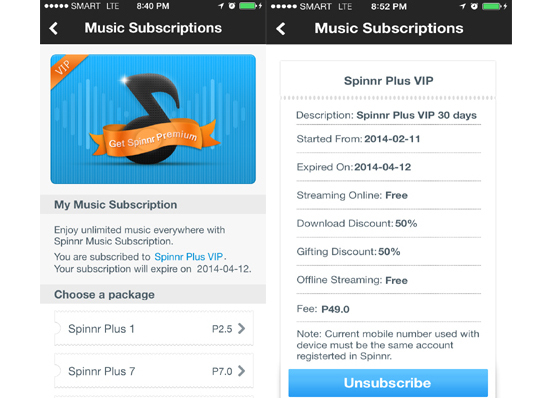 Unlike some music streaming services, Spinnr utilizes flexible subscriptions. If the one-day package is not enough for your needs or if you're not so sure you want to commit to their month-long package (P49), you can opt for a 7-day pass (P7) and their 15-day pass (P15) instead. Also, your subscription package already covers data access so you're assured of no additional data costs while listening to all the K-Pop songs your ears can tolerate. 3. The song selection will leave you spoilt for choice. You're bound to find the song you're looking for in Spinnr's vast repository containing millions of songs and albums of every famous artist that you can think of. Its partnership with big recording labels on the music industry like Universal Music/MCA and Sony Music means that Spinnr is bound to have the albums of your fave artist-from today's Grammy Award winners to immortal music legends. 4. The app is easy to use. It can't get any simpler with Spinnr. You find a song, hit play or add it to a playlist. Now, repeat that step on albums and artists and you can collate the most awesome, and not to mention, most original playlist in the world. 5. You can go crazy with the playlists. On Spinnr, you can create playlists for your every mood, using all the songs you want. You can also check out the pre-saved playlists. It doesn't matter if you're happy, in love, smarting from a break-up or just bored, there's bound to be a playlist for you. You can even use the Spinnr Radio function if feel like letting the program choose the songs for you. Because the app is powered by Smart, you can be sure that the app will work well with the network's data connection, making your streaming experience seamless and pleasurable. If you need to turn off your data at some point, the app has an offline mode which will allow you to continuously enjoy your playlists. Also, you can stream via WiFi as long as you're registered to a subscription package. 7. It's accessible via multiple devices. 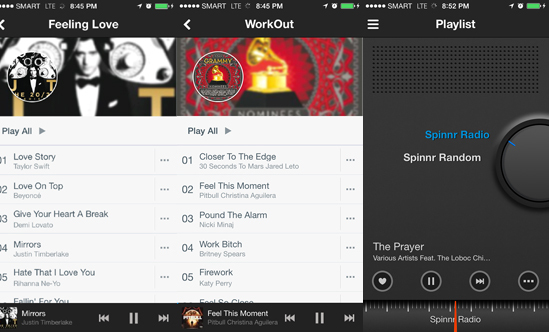 You can take your music anywhere you go with the Spinnr app on Google's Play Store for your Android device. Apple fan? Alright, install the Spinnr app on Apple's Appstore. Just chilling at home or in in need of some office inspiration? 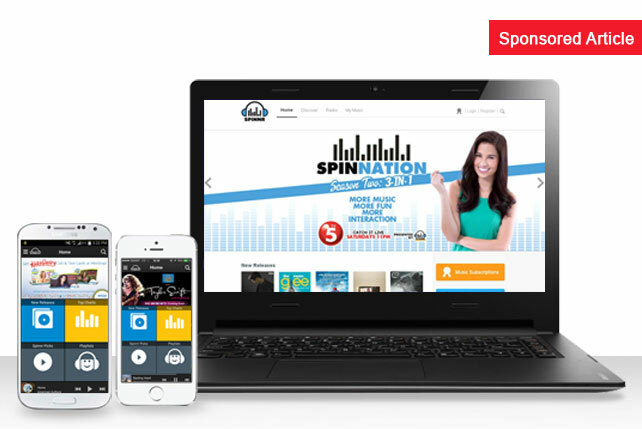 Cool, just open www.spinnr.ph on your PC or laptop. With your Smart, Talk 'N Text or Sun Cellular-linked Spinnr account, you can access your music and playlists via PC, tablet, or smartphone. 8. Everything's in the Cloud. With Spinnr, you don't need to store anything on your device's storage or SD card besides the actual app for your smartphone. Everything is saved on Cloud so you can save precious megabytes in your phone's memory. Also, you don't have to worry about corrupted SD cards or malfunctioning phones, your playlists are safe on the Cloud! No need to manually organize your library or sacrifice some songs to make way for new ones. 9. Still want to own the songs? The MP3 tracks are dirt cheap. If you happen to fancy storing the song you're currently listening to permanently on your device, you can't go wrong with Spinnr. 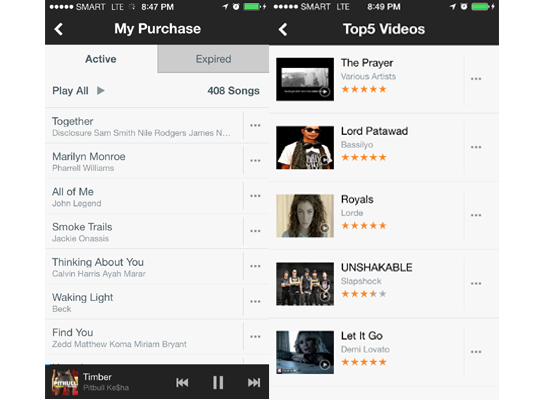 MP3 tracks that are normally priced at P50 can be had for either P10 or P15. Register to a subscription package and you may even get download discounts. 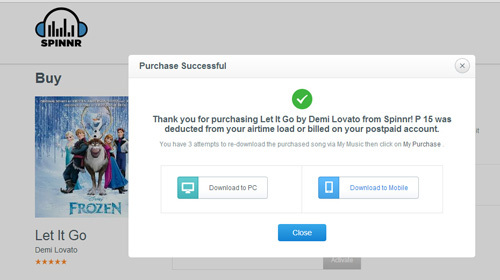 BONUS: You can also buy songs and send it directly to your friends as gift. 10. 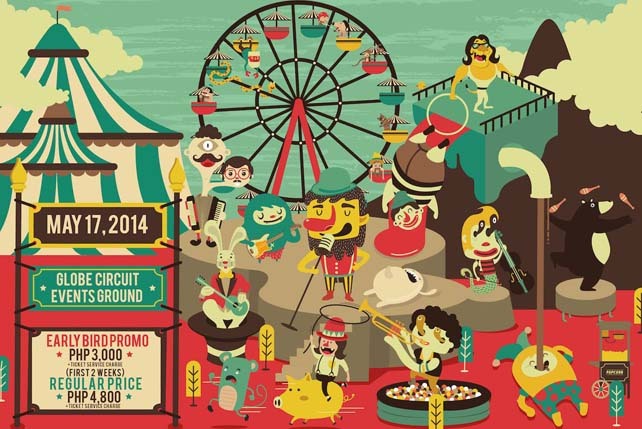 Spinnr users get to have access to the biggest music events in the country! 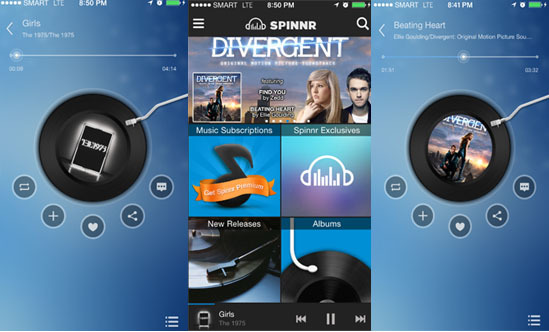 The Spinnr experience goes beyond music streaming and downloads. It promises its users the total music experience through access to music events and concerts of the biggest music artists. 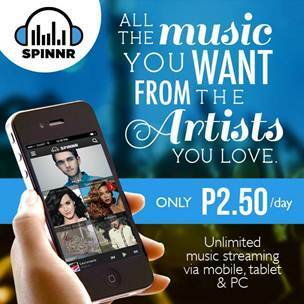 Case in point: Spinnr is giving away VIP tickets to Taylor Swift's concert this June. Visit smart.com.ph/taylorswift to know more. Excited to try Spinnr? You should be. All new users will get a free 15-day all-access trial! Go to www.spinnr.ph and register your Smart, Talk and Text, or Sun Cellular number.